Update: A concerned citizen reported a subject knocking on the door of a closed medical office in the 500 block of W. Crosstown. The subject was identified as Mr. O’bryant. He was returned home safely to his family. Kalamazoo, MI: On 9-22-17 at approximately 7:00 p.m. KDPS Officers responded to 500 block of W. Walnut Street on report of a missing person. Officers learned that 70 year old Julius O’Bryant Jr. is suffering from mid-stage Alzheimer’s and walked away from his residence. 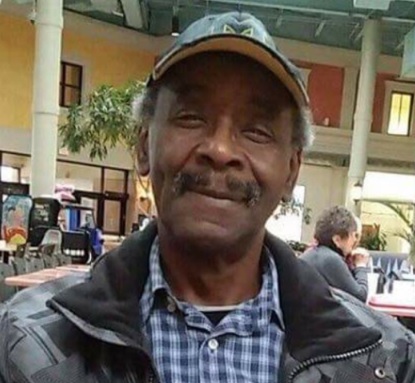 Officers from Kalamazoo Public Safety, along with family, checked the area extensively but have been unable to locate Mr. O’Bryant. 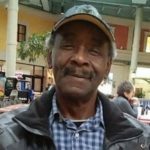 Mr. O’Bryant is a Light skinned black male in his 70’s, approximately 5’06” and weighs around 170 lbs. He was last seen wearing khaki shorts, a plain blue t-shirt, and black baseball cap. Public Safety is requesting anyone with information regarding the location and whereabouts for this subject to contact the Kalamazoo Public Safety at (269)337-8994. Kalamazoo, MI: On Tuesday, March 21, 2017, at 7:21 a.m., Kalamazoo Public Safety officers responded to a report of a house fire in the 700 block of W. Walnut St. On arrival they found the interior of the residence fully engulfed in fire. Officers made entry to search for residents and extinguish the fire but were forced back because of hoarding conditions and structural concerns due to the fire. Public Safety officers were able control the fire enough to make entry after approximately one hour. Upon making entry and searching the residence one subject was found deceased on the first floor. Public Safety officers still remain on scene conducting overhaul of the structure. The cause and origin of the fire is under investigation by the Kalamazoo Public Safety Fire Marshal. The victim of the fatal house fire has been identified as 85 year old William Hull of Kalamazoo, MI. Kalamazoo Public Safety would like to send our condolences to the family and friends of Mr. Hull. The Fire Marshal continues to investigate the cause and origin of the fire.